Start with the eggplant, we’re going to create a tasteful puree. PRE-HEAT the oven to 220 degrees celsius or 430 degrees fahrenheit. DIVIDE the eggplant lengthwise and make shallow cross wide cuts across the cut side of the eggplant. PEEL 3 of the garlic cloves, divide them in half and place them on the oven tray. PLACE the eggplant on top of the garlic and ROAST in the oven for about 30 minutes, or until completely soft. Meanwhile RINSE the bell peppers, remove the seeds and chop into cubes. Also RINSE the zucchini and chop into cubes. PEEL and finely chop the red onion and the remaining 3 garlic cloves. Use a spoon to remove the soft eggplant into a blender and create a smooth puree. SEASON with pepper and salt. HEAT olive oil in a large skillet and sauté the red onion for about a minute. ADD the ground meat and cook a few minutes more. 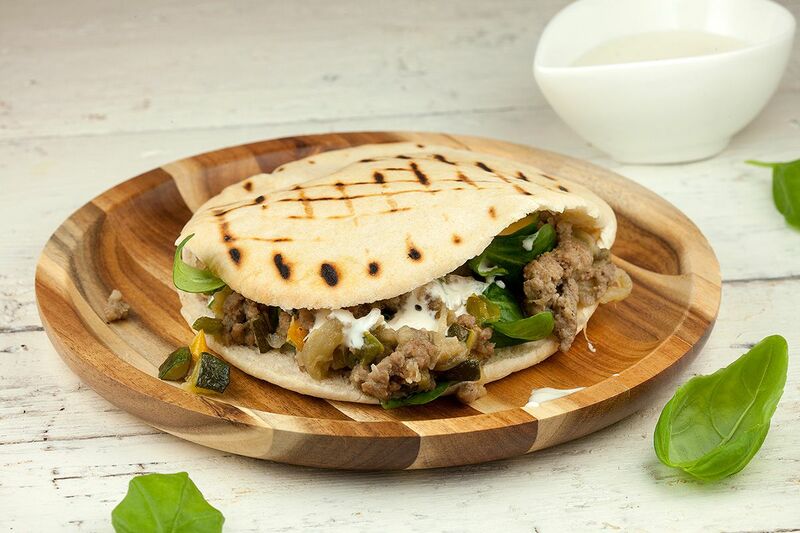 Then also ADD the bell pepper and zucchini and after another few minutes you can also ADD the eggplant puree. SEASON with pepper and salt. CREATE a simple garlic sauce by combining yogurt, mayonnaise and chopped garlic cloves. SEASON with pepper and salt. 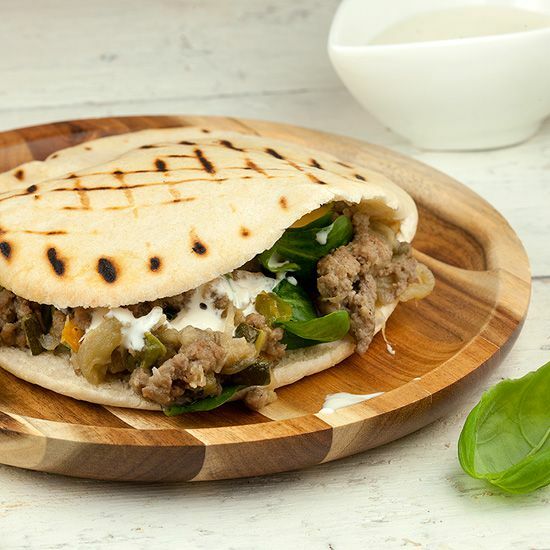 HEAT the pita breads using a grill pan, toaster or oven. 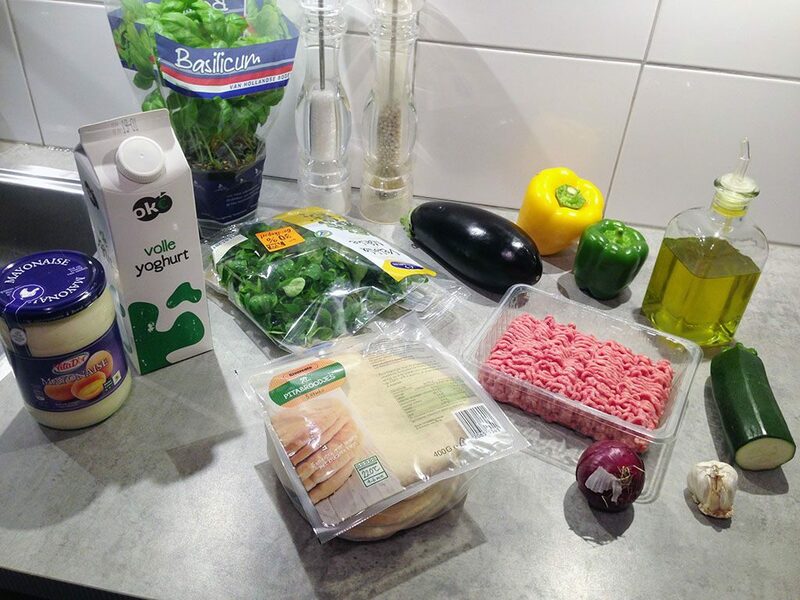 FILL the breads with dandelion lettuce and the meat mixture. 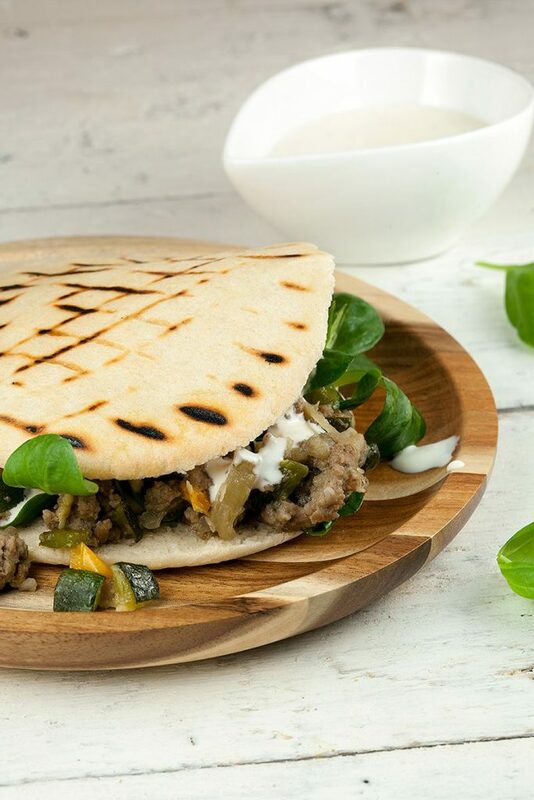 FINISH the pitas with fresh basil leaves and garlic sauce, enjoy!